Learn about the history, background and reasoning behind the Los Angeles seismic retrofit mandate and how it can keep your building and tenants safe. 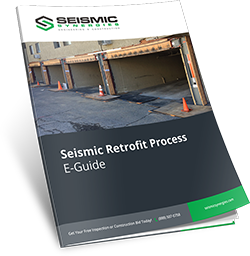 Download this guide to learn all there is to know about how the LADBS seismic retrofit ordinance affects your property. Learn more about seismic retrofit cost, mandatory retrofit programs, and permitting / compliance that may impact you and your properties. Read up on the current ordinances, mandates, and potential rebates and incentives that may impact you and your properties.